Volkswagen Golf Alltrack Performance, Engine, Ride, Handling | What Car? The good news is that the Golf Alltrack is every bit as refined and easy to live with as the regular Golf Estate. The steering feels much the same, meaning it’s accurate and provides enough feedback on faster, twisting roads, but is also light enough to make low-speed manoeuvres a doddle. The 148bhp 2.0 TDI engine delivers an impressive amount of mid-range pull, so overtakes don’t need much planning. 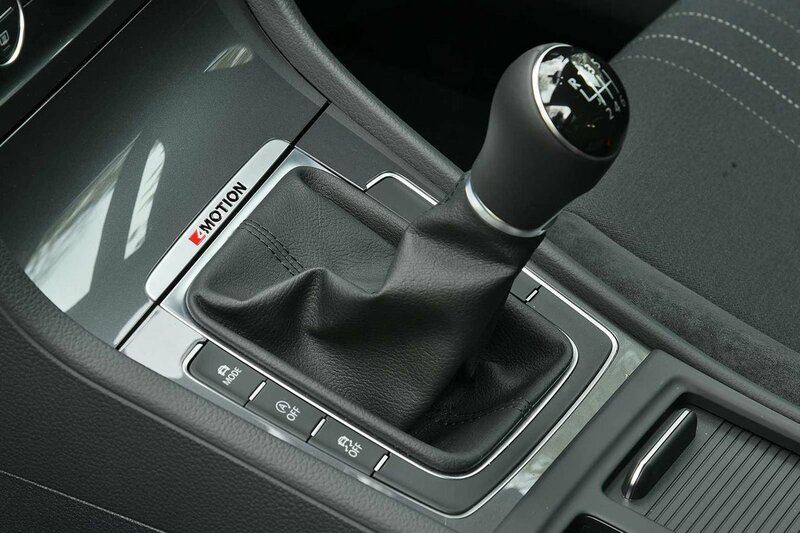 This, matched to a light clutch and gearshift, makes the Golf Alltrack pleasant to drive when the traffic becomes heavy. Performance of the 181bhp version of that same engine is slightly better, but the main attraction is the standard seven-speed automatic gearbox. However, we still reckon the less powerful diesel engine makes more financial sense. If you really don’t want a diesel, there’s only one option: a 178bhp 1.8-litre turbocharged petrol. It needs revving harder than either of the diesels but acceleration is surprisingly brisk when you really give it the beans. Engine, road and wind noise are all well suppressed. 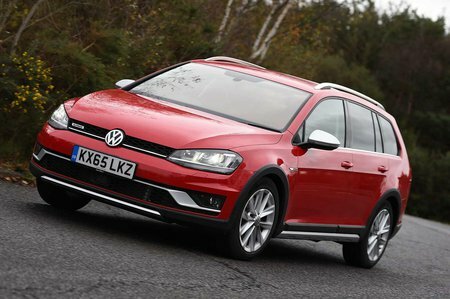 On standard suspension and 17in alloy wheels, the Golf Alltrack’s ride is comfortable and composed, with only bigger road imperfections causing any issues, albeit never to the point where it jars or unsettles the car. Yes, the Golf Estate is slightly more comfortable, but the margins are small. Optional adaptive suspension allows you to manually alter the stiffness of the suspension. Sport mode tightens things up and reduces body lean around corners while also making the steering a tad heavier. However, in most circumstances, Normal and Comfort modes are more appropriate, since you get a suppler ride. We still wouldn’t bother paying the extra for adaptive suspension, though. 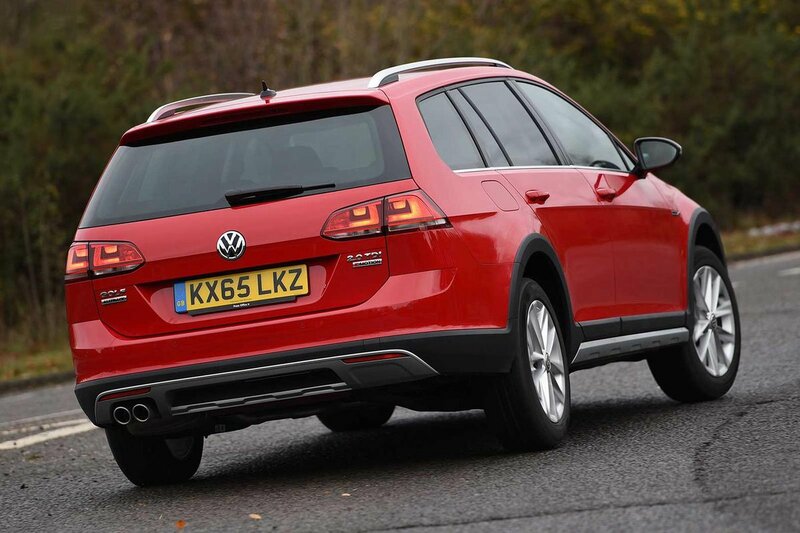 The Golf Alltrack also comes with an off-road mode, which activates hill descent control, adapts the brakes to deal with uneven surfaces and, if you choose a model with an automatic gearbox, forces it to maintain lower gears.